With consumers these days living ever more mobile and connected lives, it seems only natural that we'd move toward a more connected automobile. After all, the average urban American spends the equivalent of 8.3 days a year commuting, according to The Rockefeller Foundation, so why not bring the comforts of home to the car? The idea of the connected car is nothing new. One might argue that the public's first exposure to what the marriage of driving and computing could be came in the form of KITT, the star of the hit 1980s action/adventure show Knight Rider. But the technology at that time was purely science fiction. Fast-forward almost 30 years, and although we're still not anywhere close to having a car like KITT, things are certainly progressing. Whereas last year about 4.5 million cars were sold worldwide with "telematics" (information systems joined with telecommunications), by 2015 that number will increase fivefold to about 22.7 million vehicles, according to IHS iSuppli. Connected cars will come in a variety of flavors. Some may have a purely entertainment function--say, in-car video. Others may allow for interaction with the vehicle, such as through voice-activated commands. Yet others could have a purely safety-related purpose, knowing when to send for help in the event of an accident. Regardless, the connected car is coming. In-car entertainment can be considered the earliest form of car connectivity: For years, auto enthusiasts have been building elaborate entertainment systems within their vehicles. In the past, such systems could handle only prerecorded content. That has now changed. Companies such as KVH have teamed with satellite provider DirecTV to provide antenna systems that allow for reception of signals on the road. No doubt this concept was inspired by sports fans who constructed makeshift systems for tailgating. Satellite-radio provider SiriusXM offers a service called Backseat TV, which offers programming from Cartoon Network, Disney Channel, and Nickelodeon. The service comes preinstalled in select Chrysler, Dodge, and Jeep vehicles, or buyers can install it using an aftermarket kit. Most of the time, the radio acts as the entertainment and information hub of the automobile, and various peripherals hook into it. Pioneer, among other companies, is turning that concept on its head with the App Radio, available for $399. The radio itself is merely an accessory: Without an iOS device linked to it, the App Radio is just a touchscreen AM/FM radio. Connect an iPhone or iPad to it, though, and all of the audio available on the mobile device pipes into the car. Pioneer has released an API to its partners so that they can develop apps to take advantage of the radio's capacitive touchscreen. The arrangement opens up a lot of possibilities. You can use the screen to select, manage, and control audio streams from Pandora and Rdio, for example. Apps for MotionX-GPS and INRIX Traffic display up-to-date navigation and road information on the touchscreen. By taking such features out of the radio and putting them into an app, Pioneer's system ensures that your car stereo always has the latest technology, since the app receives updates online. The App Radio prevents you from getting out-of-date information, too, as long as the developer keeps its app current. In addition, you don't need a data plan for the car, because you're using the data plan on your iOS device. Considering people's increasing dependence on Internet-connected devices, it was only a matter of time before tech companies and automakers capitalized on the trend. With cellular data networks now maturing to the point where in-car broadband can be useful for consumers, more options are becoming available. One of the first companies to offer in-car Internet was Autonet Mobile. 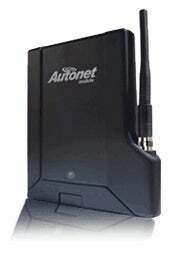 Founded in 2005, the company offers a unit that allows for easy installation into any vehicle and provides both 2.5G and 3G data coverage over a large portion of the United States, with data rates similar to those of standard wireless broadband options. Automakers have also begun to provide the functionality as a standard option in cars. Audi's A7 sportback offers in-car Wi-Fi, and higher-end vehicles with BMW's ConnectedDrive technology have similar functionality. As with Autonet, service is dependent on your being within a coverage area. For both Audi and BMW, that means T-Mobile, so if the car happens to be in any of the many areas where the nation's fourth-largest carrier doesn't provide service, the feature will not work. Voice-recognition technologies have improved enough to become an economical addition to the automobile, on a wide scale. Such systems are intended to allow the driver to interact with the car with minimal distraction and to perform many basic commands. One of the first companies to commit to voice recognition was Ford, which created the Sync platform through a partnership with Microsoft. The technology is available on a wide range of vehicles at prices that put it within the reach of many consumers. Other companies, such as Audi, BMW, and Mercedes, all offer similar systems, though mainly in higher-end models. Even with the growth of the exciting technologies described above, issues remain. One of the biggest concerns is connectivity: While data networks are quite fast in urban areas, some rural locales are still far behind the curve. This is a problem for the connected car, as many in-vehicle features depend on a steady Internet connection. Another problem is a lack of standards. With every car company rushing to add "smart" features to its cars, a lot of the functionality is proprietary. For example, you have no way to take your driving preferences from car to car, nor do you have a method to transfer data from one vehicle to another. Without clear standards, advancing technologies to the point where cars can talk to one another will be impossible. Finally, price remains an issue. Although Ford has put smart functionality into its nonluxury cars, in most cases the connected car is only within reach of the affluent. As long as that situation stays unchanged, development of in-car technology will likely be slow, as the demand for such functionality will be light. For more tech news and commentary, follow Ed Oswald on Twitter and on Facebook.